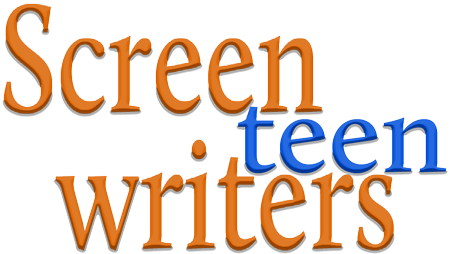 Can teens be taught to write scripts for the movies? Absolutely! This “for teens only” informative theatre text demonstrates how any student can create a salable screenplay idea or script. After telling the reader how to sell their work in Hollywood this workbook gives nuts and bolts instruction in all basic writing principles for visual media. The activity assignments provided with every chapter may be used in a full classroom or for independent study. 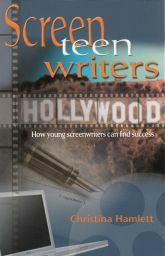 Inspirational interviews with successful Hollywood writers of all ages accompany most of the fourteen chapters. This book is helpful for adults as well. Read more...Sample chapter topics include: What Kind of Movie Should You Write?, How Do You Write Good Dialog?, Movie Terms (and Career Advice) You Need to Know, and more. Christina Hamlett is a former actress/director and an experienced teacher of screenwriting online, in film camps, and school workshops. Here are 52 great, original monologues from Chambers Stevens, one of LA’s top teen acting coaches!